I'm a day late for the first day of the Lunar New Year, but I understand that the celebration lasts more than two weeks. 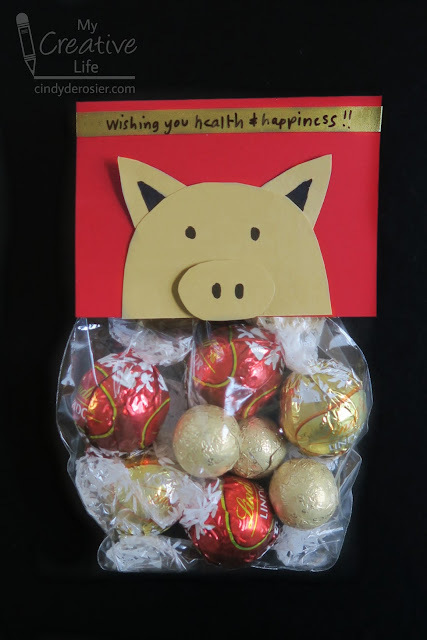 So you still have plenty of time to make a Year of the Pig Treat Topper to wish good health and happiness to your friends and family. There are affiliate links throughout this post. Fill the treat bag up to the 'neck' with red and gold foiled candies to make the body of the pig. Set it aside. 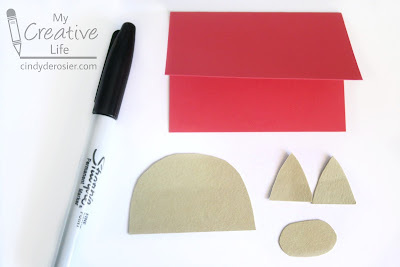 Cut a rectangle of red construction paper that is the same width as the treat bag. 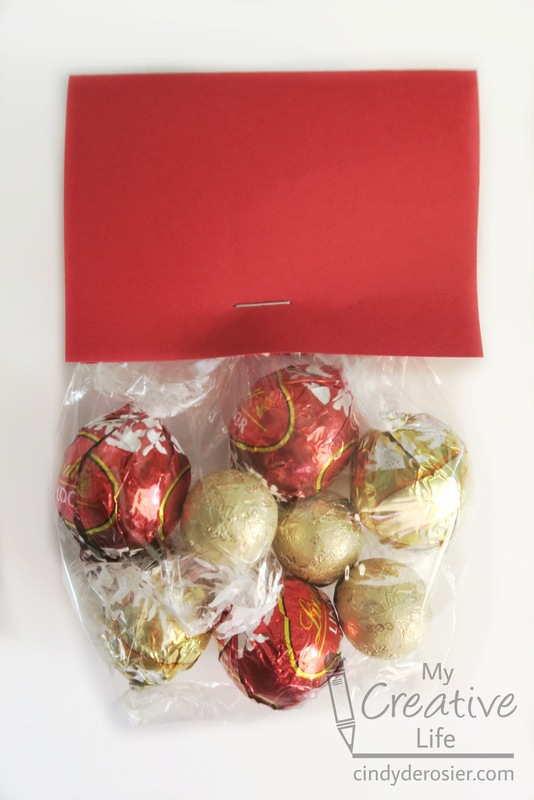 Fold it in half to make the treat topper. Cut a semi-circular face, an oval nose, and two triangle ears from the gold paper. Staple the red paper over the treat bag. Use the Sharpie to draw two eyes on the face, two nostrils on the nose, and the inner ears. Glue the ears behind the face, then glue the face to the red paper. Use a foam dot to attach the nose so that it has dimension. Finally, write a message on the washi tape and add it to the treat topper. I used enough so that it would stretch across the front with the ends meeting up neatly in the back. Wishing you all a joyous and prosperous Year of the Pig! P/s: CNY is celebrated for 15 days.